Yesterday I ran around to meetings and showroom appointments in this outfit. I'm completely in love with all of these pieces because they are just so versatile! 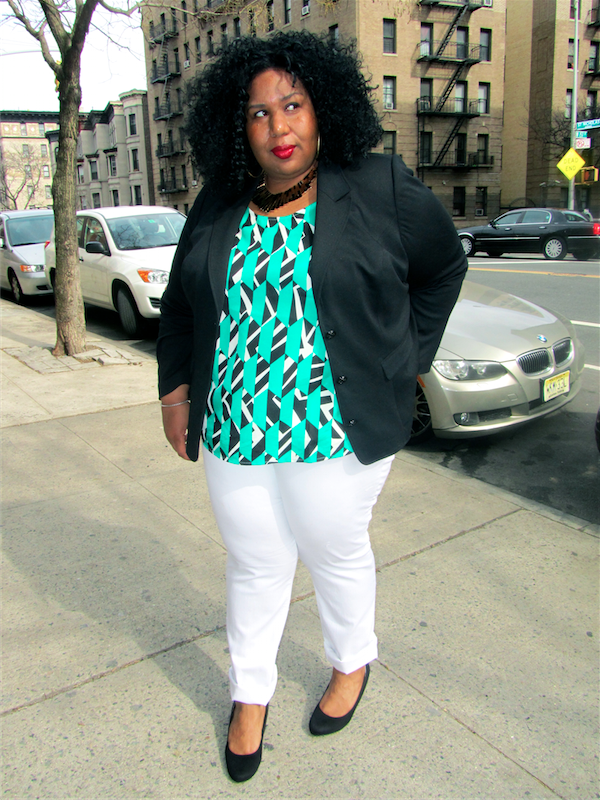 I throw this classic blazer on top of lots of things and the top is one of my fav newer blouses that I own. 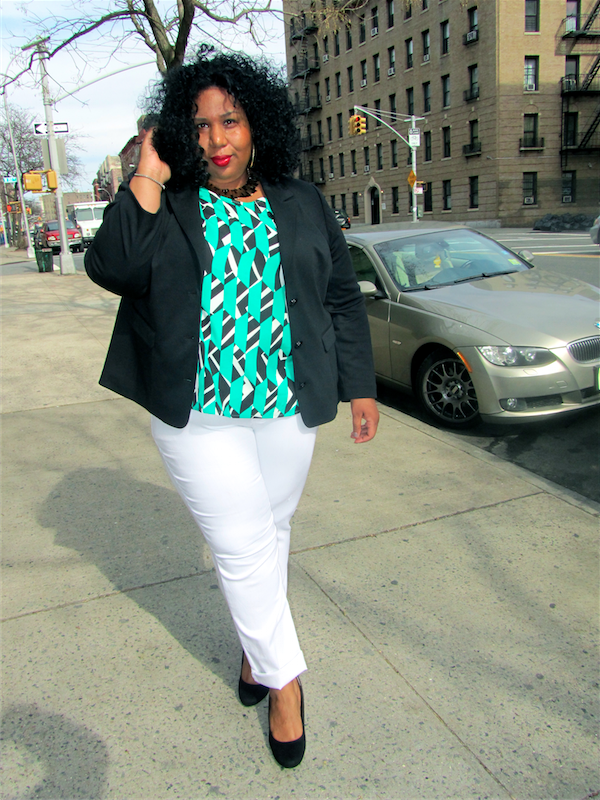 I last wore it with royal blue pants...a little color block feeling which I loved and as much as one needs a great pair of dark jeans, I think a pair of white jeans are critical for any wardrobe and I wear them year round. Pieces that you can mix and match are ideal. But getting stuck in a rut of always pairing the same pieces together means you're not maximizing your wardrobe! Sometimes it's really helpful to play dress up in your own closet. I often pull tons of things out and just start trying things on that I've never worn together to see how it works.